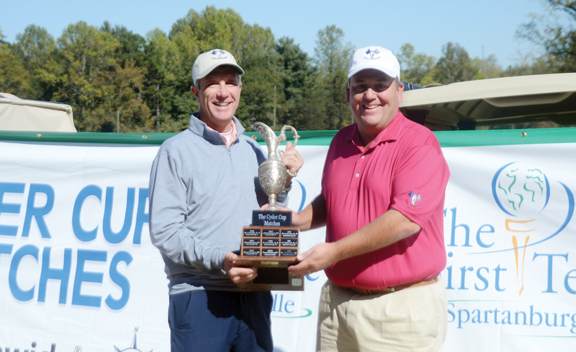 Greenville captain Terry Willis receives the Cyder Cup from Spartanburg captain Max Fain. The Greenville team had a score to settle with thier neighbors from Spartanburg at the annual Cyder Cup matches played at Green Valley. 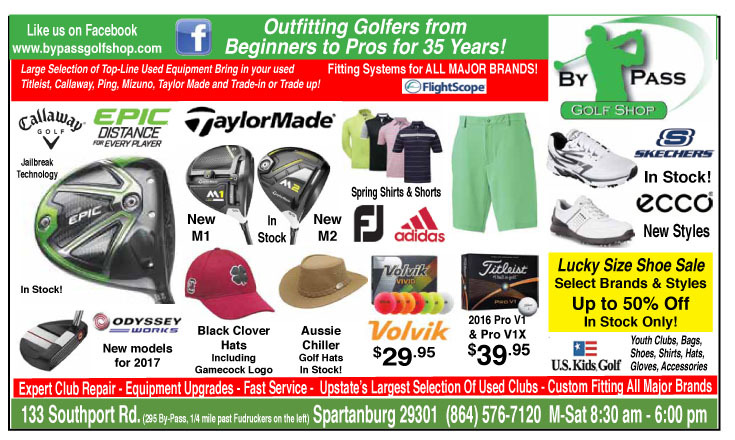 Spartanburg won last year’s Ryder Cup style tournament by a convincing eight point margin. Spartanburg’s eight point margin of victory last year was the largest in the 13 year history of the tournament, until this year. Greenville scored an impressive 21 1/2 to 10 1/2 win to bring the cup back to Greenville. “The subject of the way we got beat last year and the margin did come up before the tournament,” said Greenville captain Terry Willis. “Most of these matches have been decided by a point or two. We were embarassed about the way we played last year,” he added. The first round of matches had Greenville up by a single point, but the afternoon modified alternate shot round is where the home team showed its strength. The team won every one of the eight matches in the afternoon round. “We won the tournament on Saturday afternoon,” said Willis. “We used some strategy to set up the teams, but I didn’t think we could win all eight matches, that was a big surprise,” he said. Never before had a team scored a shut out in one round at The Cyder Cup. The matches were close, but everyone went to the Greenville team. “This year we set our teams up with each group having one long hitter. The other golfer maybe had a little more control and a good short game. The guys really played well together and that was the difference,” said Willis. Greenville entered the final round of singles matches needing only four points to take the Cup back from Spartanburg. It seemed very fitting that the match between the Greenville and Spartanburg County Amateur champions produced the winning point. 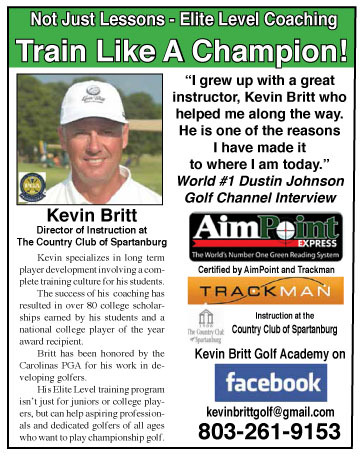 Yancey Johnson the Greenville County Amateur champion, took on Kevin Roberts, the Spartanburg County Amateur champion. Johnson earned Greenville the final point the team needed to win back the cup with a 4 & 2 win. “It stayed close until the turn,” said Johnson. “I made birdies on numbers nine, ten and eleven and got two more later. I didn’t know my match turned out to be the one that put us over the top until I turned in my scorecard,” he said. 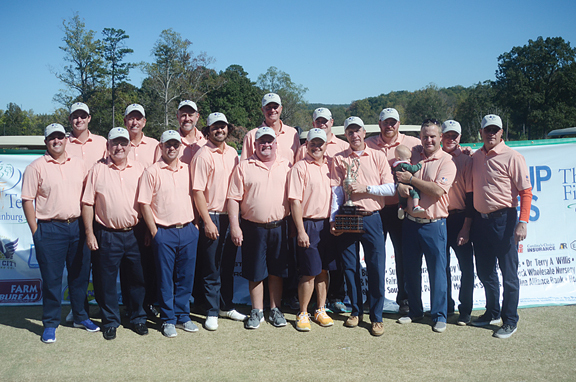 Greenville Cyder Cup team members, Duff Wagner, Dan Constantino, Max Johnson, Derrick Oyervides, Cory Slocum, Yancey Johnson, Mike Hartin, Jeremy Revis, Mike Gravley, Bobby Hines, Matthew Hopper, Rick Cobb and Bryan Kelley. The Cyder Cup began as just a tournament to give the top golfers in each county a chance to see who had the best golfers of the two. 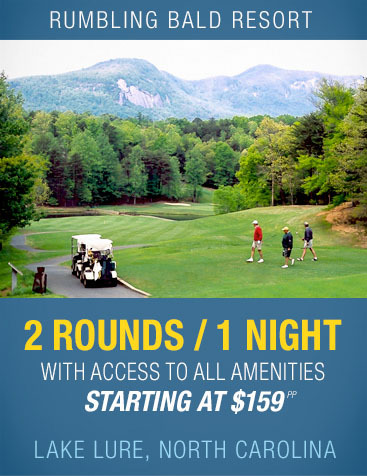 After a few years the tournament began to be used as a fundraising vehicle for The First Tee programs in Greenville and Spartanburg. Since the tournament became a fundraising event The Cyder Cup has contributed over $200,000 to help young golfers learn the nine core values and the other lessons golf teaches. “We had a great weekend and Green Valley was a wonderful host for this year’s matches. It was good to get the Cup back,” concluded Willis. Greenville leads the series with 7 victories to Spartanburg’s 5 wins. The first tournament ended in a tie. Members of the Spartanburg County team were Stan Sill, Kyle Mathis, Todd Whitehead, Ron Leopard, Max Fain, Kevin Roberts, Tripp Morrow, Doug Ramey, Gene Wetmore, Jeremy Ryan, Todd Webber and Richard Burgess.